Siganus (Lo) uspi Gawel & Woodland 1974, the Bicolored Foxface. Fiji endemic, from where it is regularly shipped to the trade. To nine inches maximum length. This photo taken in... Fiji. Siganus virgatus, the double-barred Spinefoot, is named for its twin oblique barring pattern and the experience of unfortunate beachcombers who have stepped on it. S. virgatus is a great marine "algae eater", and more outgoing than the Foxface. The double-barred Spinefoot, is named for its twin oblique barring pattern and the experience of unfortunate beachcombers who have stepped on it. S. virgatus is a great marine "algae eater", and more outgoing than the Foxface. Occurs mainly in pairs as larger juveniles, adults. To a foot in length in the wild. Pulau Redang, Malaysia. 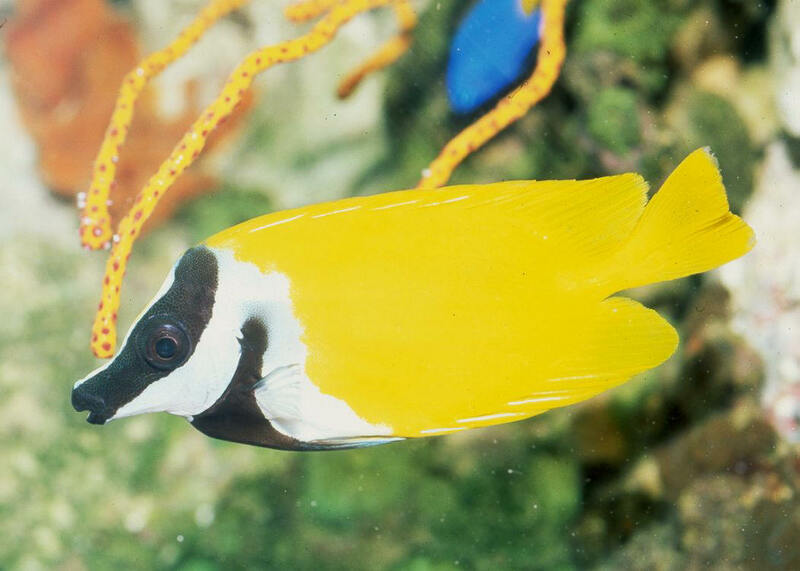 The Foxface or Fox-fish, Siganus (Lo) vulpinis is the Rabbitfish to many. Amongst its family the Foxface has a longer tubular snout. 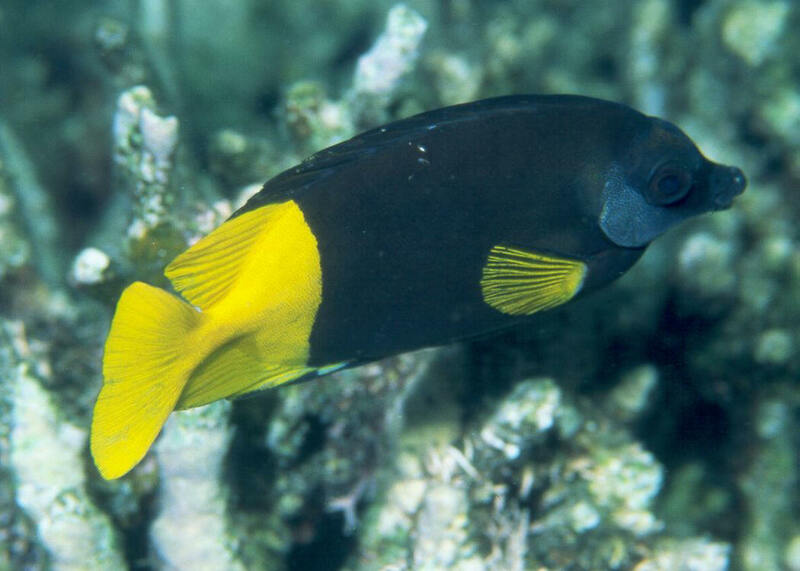 A contrasting golden yellow body is offset by a dark diagonal eye-band and chest patch, emarginated in white. Your Foxface can serve as a good bio-indicator, as they quickly lose color and "blotch out" depending on their mood. Aquarium image. 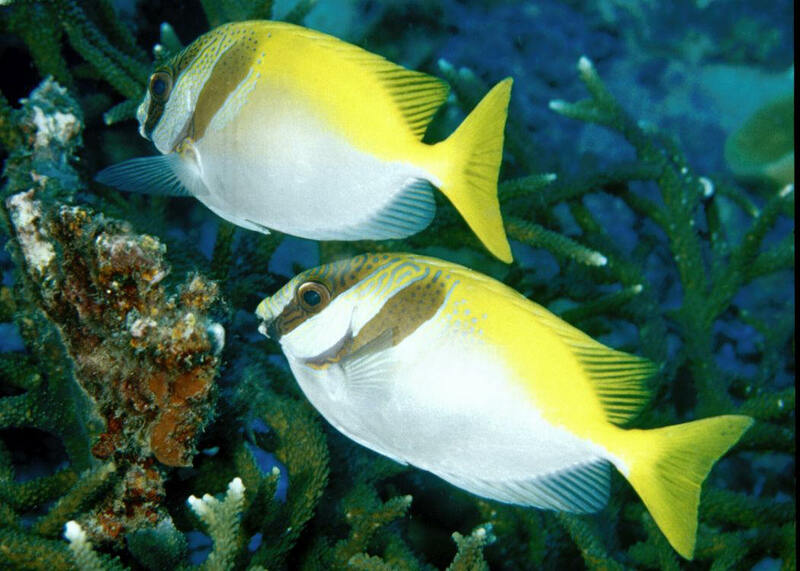 The Foxface or Fox-fish, Siganus (Lo) vulpinis is the Rabbitfish to many. Amongst its family the Foxface has a longer tubular snout. 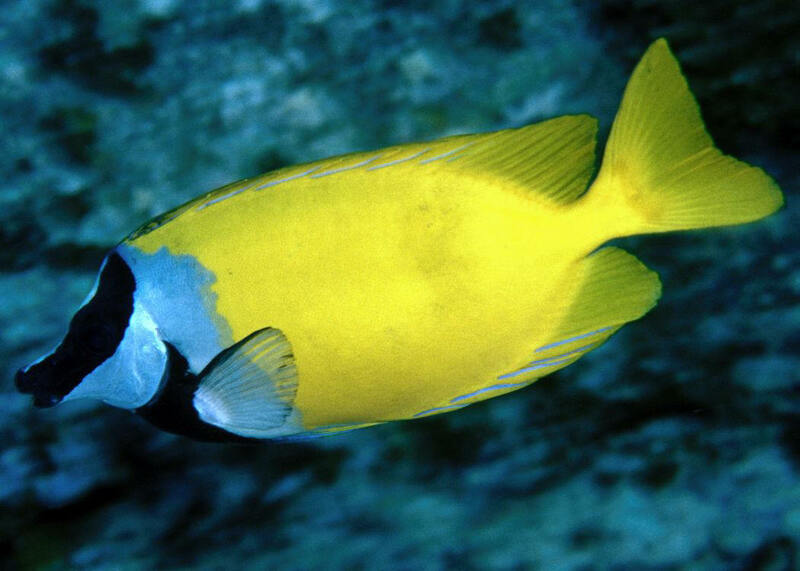 A contrasting golden yellow body is offset by a dark diagonal eye-band and chest patch, emarginated in white. Your Foxface can serve as a good bio-indicator, as they quickly lose color and "blotch out" depending on their mood. Image on Pulau Redang, Malaysia.